New York, NY – June 13, 2016 – Handler Real Estate Organization announced today that it has arranged a long-term, 5,000-square-foot lease in Chelsea on behalf of Taglialatella Galleries, which will occupy the entire building at 229 Tenth Avenue. Founded by Dominic J. Taglialatella — a major force in the global art community for nearly four decades — Taglialatella Galleries exhibits paintings, sculptures and works on paper by contemporary and modern masters with a focus on Pop and Street art. The two-story property at 229 Tenth Avenue is located at the crossroads of the Meatpacking District and Hudson Yards, and just off the 23rd Street entrance to the High Line. 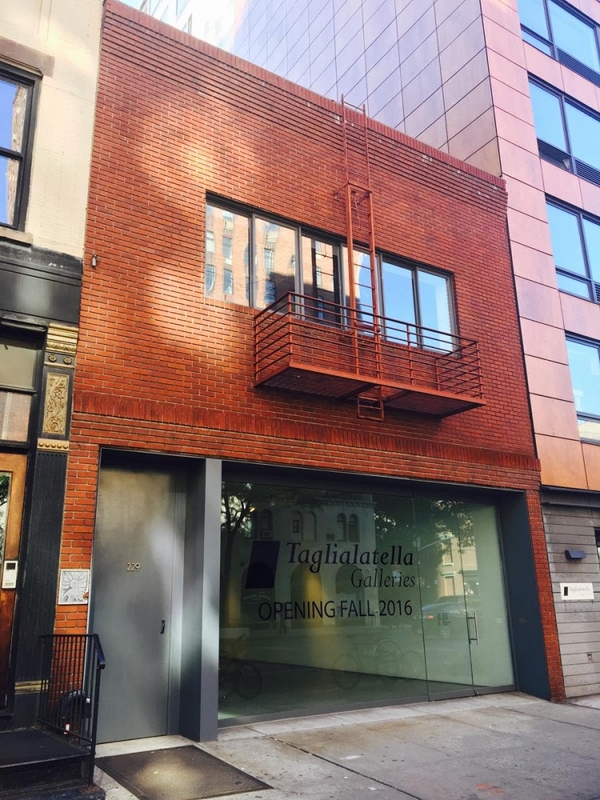 Taglialatella Galleries, whose existing headquarters gallery operates on Tenth Avenue, is expected to relocate to its new, larger space in the fall of 2016. With additional gallery locations in Paris and Palm Beach, Taglialatella Galleries has exhibited works from artists such as Arman, Banksy, Jean-Michael Basquiat, Mr. Brainwash, Jim Dine, Shepard Fairey, Keith Haring, Rob Hay, Damien Hirst, Robert Indiana, Alex Katz, Kaws, Jeff Koons, Roy Lichtenstein, Robert Longo, Peter Mars, Rubem Robierb, Swoon, Andy Warhol, Tom Wesselmann, and Russell Young, among others. Brandon Singer, of Cushman & Wakefield, represented the landlord in the art gallery lease transaction. Henry Welt, Esq., served as legal counsel on behalf of Taglialatella Galleries. Welt is a business lawyer with more than 30 years’ experience representing art galleries and artists with respect to their real estate, business, intellectual property and licensing needs. Handler Real Estate Organization is a boutique, full service real estate company based in New York City. For more than half a century, the "Handler Brand" has been synonymous with the management, investment, and leasing of "premium" real estate in New York City as well as throughout the country. Handler has an expansive and growing real estate platform that includes, but is not limited to: Property Management; Landlord and Tenant Leasing Services; Real Estate Advisory Services; Investment; and Real Property Acquisitions. Handler is also an owner and investor in more than 20 commercial and residential properties throughout the United States. For more information, visit Handler Real Estate's website, read more on Commerical Observer, or call or NYC gallery: (212) 367 0881.